Tomorrow is Earth Day (making this Earth Week or Earth Month, depending on your level of commitment). In honor of this celebration of sustainability, I thought I'd share with you a beautiful children's book that tells the story of the Original Environmentalist, Henry David Thoreau. 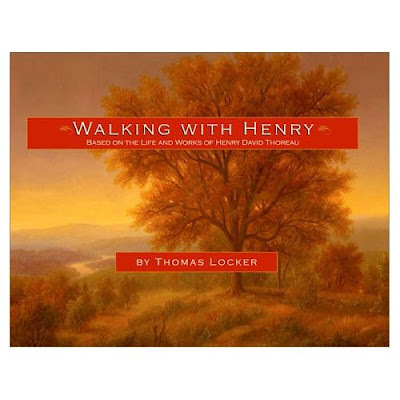 Walking With Henry takes young readers (or listeners) on a journey with the naturalist and poet. Imparting Thoreau's reverence of nature and love of the untouched wilderness, Walking With Henry makes a convincing case for the 21st century relevance of this 19th century philosopher. He still has much to teach us. His words are paired here with gorgeous landscapes by illustrator Thomas Locker, making this book a beautiful tribute to a sustainable, earth-conscious lifestyle. How to Make a Difference? It's in the Jeans.